The word “them” refers to two stone interpreters used for translation of ancient records. 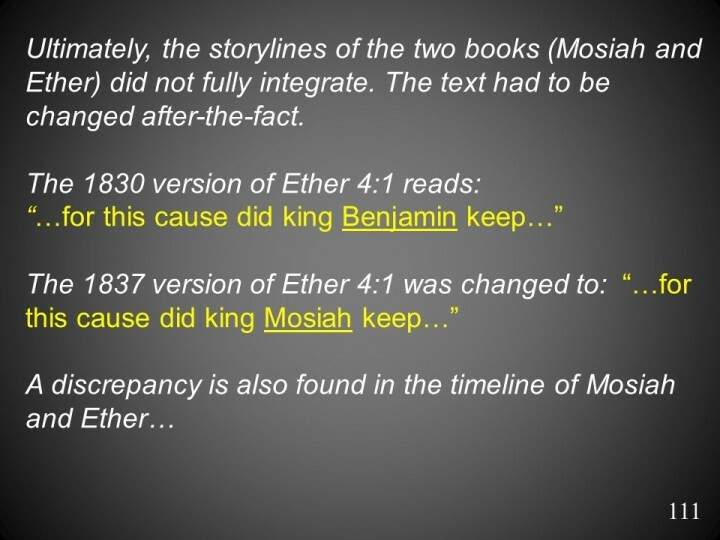 Apologists will argue that Ether 4:1 was actually referring to Mosiah I who had received a large stone with Jaredite writings (Omni 21). This does not explain why a change was made in 1837.